NEW DELHI: Stubble burning in Punjab and Haryana contributed to 32 per cent of Delhi's overall pollution on Saturday, according to a report by the Centre-run System of Air Quality Forecasting and Research (SAFAR). On Saturday, about 32 per cent of pollution by PM2.5 was caused by stubble burning by farmers in Punjab and Haryana, it said. The report said that the stubble burning contribution to pollution will significantly reduce in the next two days. PM2.5 is the presence of particles in the air with a diameter of less than 2.5 micrometres, while PM10 is the presence of particles in the air with, and both are considered the major atmospheric pollutants. PM2.5, in particular, poses greater harm as its fine particles can easily be inhaled into the respiratory tract. "On Thursday and Friday, more stubble was burnt in Punjab and Haryana due to which its contribution to PM2.5 pollution increased," the official said, adding that the impact of pollution by stubble burning on the national capital could be seen only a day after the stubble is burnt. Meanwhile, the SAFAR issued a health advisory due to increased pollution levels in Delhi, urging people with heart or lung disease, older adults and children to avoid prolonged or heavy exertion. Delhi's air quality remained very poor for the fourth day Saturday with five areas of the national capital recording severe pollution levels. The authorities warned that at the beginning of November the situation may get further deteriorated due to localised emissions during the festival and the regional contribution due to stubble burning. 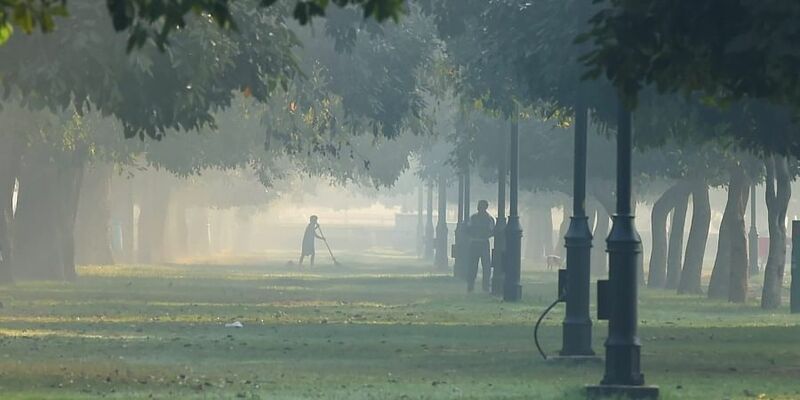 The Central Pollution Control Board recorded the overall Air Quality Index (AQI) of Delhi at 350. The highest AQI of this season so far has been recorded on Friday at 361. On Saturday, five areas recorded severe pollution levels. They include Anand Vihar, Dwarka Sector 8, Narela, Punjabi Bagh and Rohini. Punjabi Bagh recorded the highest pollution levels in the national capital at 434.